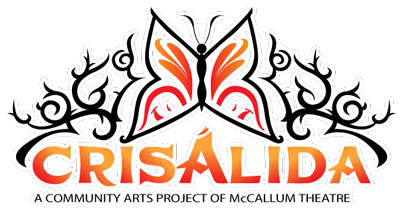 Crisálida: Community Arts Project | Juan Felipe Herrera, We Love You! Juan Felipe Herrera, We Love You! 22 Jun Juan Felipe Herrera, We Love You! Thanks David for the beautiful blog you entered previously on the celebration of Juan Felipe Herrera being selected as 2015 Poet Laureate. Well done. I was there and I witnessed a love fest. This gentle, childlike poet reached the many who attended this well-deserved tribute. Here is a list of some of his many accomplishments. Juan Felipe Herrera was born in Fowler, California, on December 27, 1948. The son of migrant farm workers, Herrera moved often, living in trailers or tents along the roads of the San Joaquin Valley in Southern California. As a child, he attended school in a variety of small towns from San Francisco to San Diego. He began drawing cartoons while in middle school, and by high school was playing folk music by Bob Dylan and Woody Guthrie. In 1972, Herrera received a BA in Social Anthropology from UCLA. He received a masters in Social Anthropology from Stanford in 1980, and went on to earn an MFA from the University of Iowa Writers’ Workshop in 1990. Herrera is the author of many collections of poetry, including Senegal Taxi (University of Arizona Press, 2013); Half of the World in Light: New and Selected Poems (University of Arizona Press, 2008), a recipient of the PEN/Beyond Margins Award; 187 Reasons Mexicanos Can’t Cross The Border: Undocuments 1971–2007 (City Lights, 2007); and Crashboomlove (University of New Mexico Press, 1999), a novel in verse, which received the Americas Award. His books of prose for children include: Portraits of Hispanic American Heroes (Dial Books, 2014); SkateFate (Rayo, 2011) Calling The Doves (Children’s Book, 2001); Upside Down Boy (2006), which was adapted into a musical in New York City; and Cinnamon Girl: Letters Found Inside a Cereal Box (HarperCollins, 2005), which tells the tragedy of 9/11 through the eyes of a young Puerto Rican girl. Herrera has received fellowships and grants from the Breadloaf Writers’ Conference, the California Arts Council, the National Endowment for the Arts, the Stanford Chicano Fellows Program, and the University of California at Berkeley. Over the past three decades, he has founded a number of performance ensembles, and has taught poetry, art, and performance in community art galleries and correctional facilities. He has taught at the University of Iowa Writers’ Workshop and served as chair of the Chicano and Latin American Studies Department at CSU-Fresno. Herrera currently holds the Tomás Rivera Endowed Chair in the Creative Writing Department at UC Riverside. He is also director of the Art and Barbara Culver Center for the Arts, a new multimedia space in downtown Riverside, California. He was elected a Chancellor of the Academy of American Poets in 2011. In 2015, Herrera was named Poet Laureate of the United States. Some of the content of this blog was attained courtesy of poets.org.